More than an envelope filter. Once again we’ve knocked the world of filter pedals off its axis. Autowah, envelope filter, step filter, random sample/hold filter, even a pixelated envelope filter. This one does it all. The most versatile filter pedal on Earth just got better. More consistent settings between 9 and 18 volt operation. song featuring different settings and uses for the PDLX. Dennis Kayzer explores the PDLX and uses it with other effects including dirt, echo and a looper. 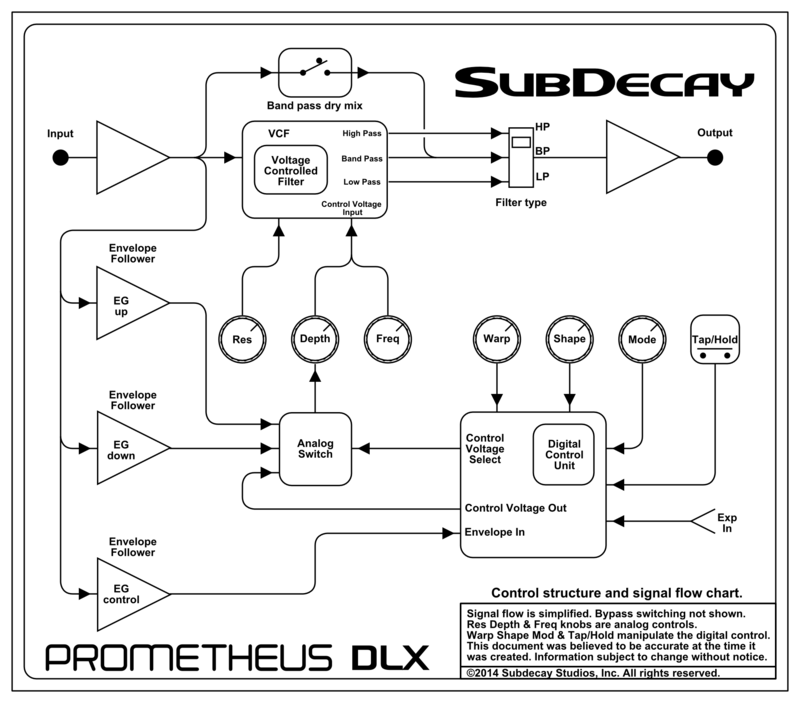 Simplified internal workings of the Prometheus DLX.